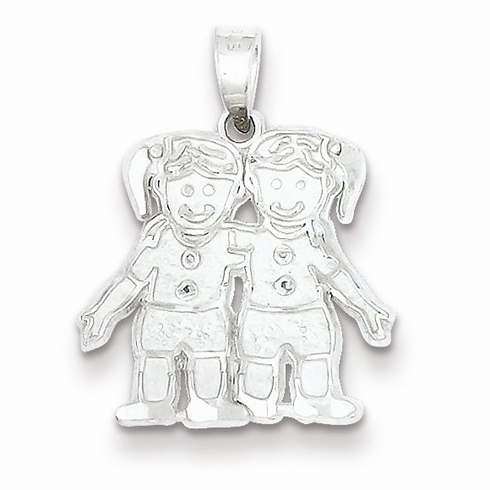 Two girls charm is made of sterling silver. Item size: 5/8in x 1/2in without bail. This item is smaller than a dime. Weight: 0.8 grams. Made in Canada and ships from Ohio.